I have frequently checked connectivity all connections solid - Scart connector set to 'output'. 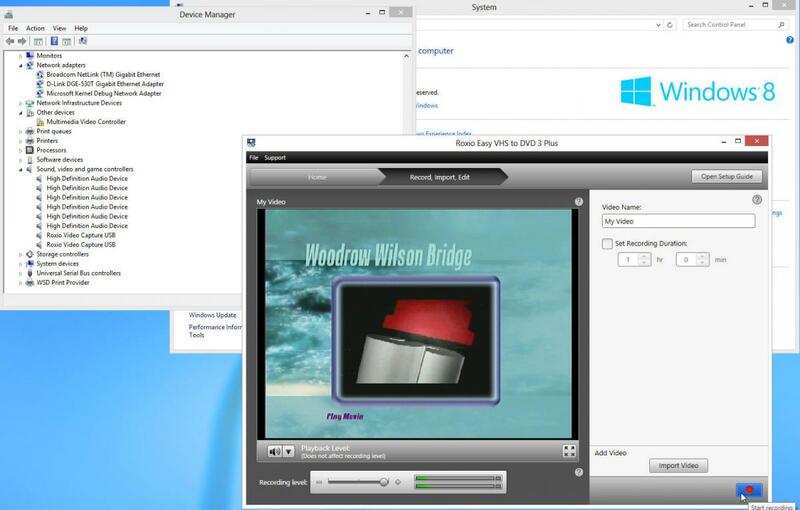 Device Manager - device, sound, game controller had two driver entries,generic Audio USB, Corel driver. Uninstalled application via CCleaner and Installed again - now in Device Manager there is No entry for the Roxio and hence no drivers! VHS player is VC2PC. just prior to loading the Roxio application I had captured five VHS cassettes using VHS2PC VIA a USB port without any problem all played back ok with a few noise lines/judder. So that should eliminate the PVHS2PC hardware from equation. how do I get this purchased product working ? This problem seems to be a common issue. The driver is only present when the USB Device is connected to your PC... Nothing will show unless it is! Knowing this, what does yours look like??? Also you cannot have any other errors or warnings showing in the Device Manager! Installed V2D/3Plus on a Win 7 Platform, Application install looked good. 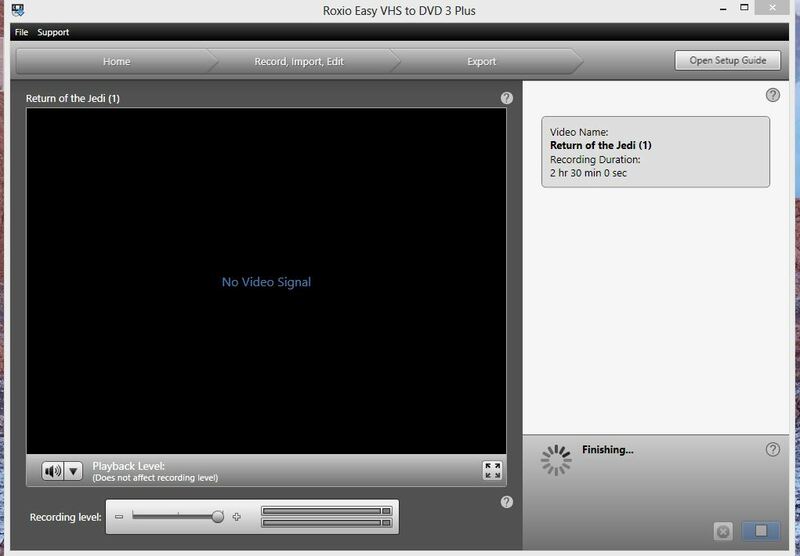 connected recorder to PC via USB Port, got the dreaded "No Video". Checked connectivity all correct and plugs tight. Checked D/Manager only a single Roxio driver, not the expected two! Uninstall - reinstall again looked good checked connectivity all good to go. Once again "No Video" checked D/Manager - No Roxio drivers at all this time, did a 'repair install no change - no drivers and no video. 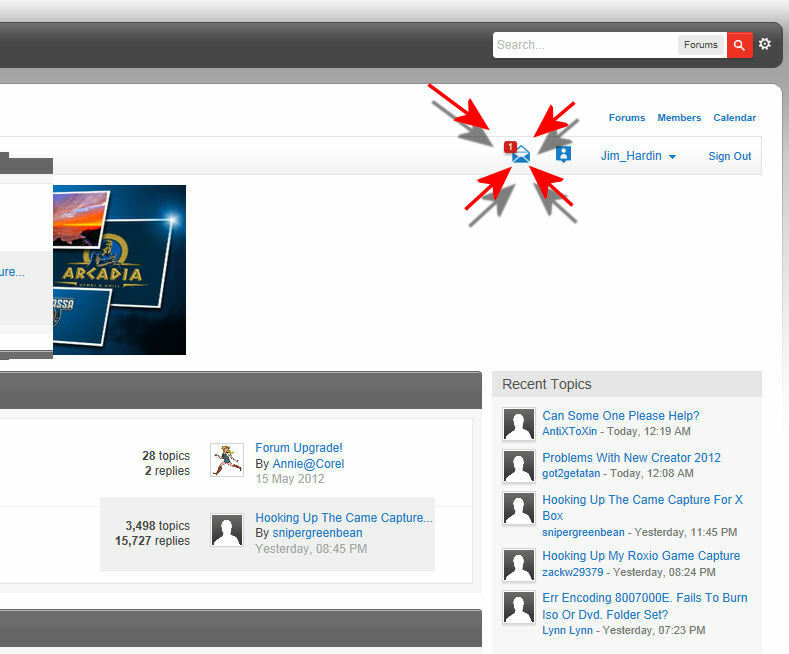 However, forum suggest it does NOT work on Win 8. Sony AIO running Win 8 pro x86. VHS player, *ION VCR2PC (Player only not equipped to record). Immediately prior to installing V2D/3+, I had successfully captured five Cassettes using the VCR2PC and *IONs software suite, therefore I minded to rule the player out of the equation. I note some suggested solution on the forum is to donate more money to Roxio and buy another of their products to make V2D/3+ work. Why!! When my car won't work do I need to buy another car to make it work! Plan would be, uninstall V2D/3+ from Win 8 and then install oV2D/3+ on Win 7 therefore only one machine using the licence at the time?? I'm losing the will to live with this application . Any suggestions would be greatly appreciated. Apologies for the length of this post but experts tend to ask for as much info as possible.
. first install - only one Roxio Driver.
. second install NO Drivers - Roxio or otherwise. 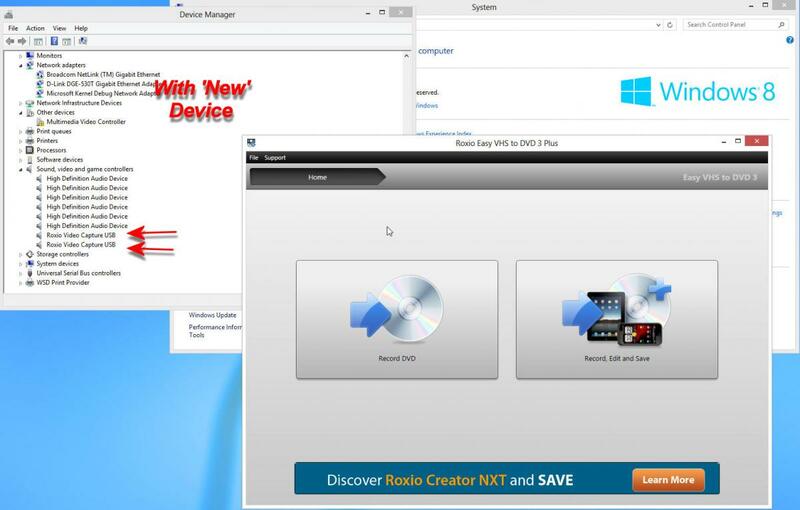 Indeed no mention of Roxio in any entry in Device Manager..
. Repaire install NO Drivers at all. I am going to combine the other into this one. At any rate you were going on about EVD 3 "not working in Win8", which is absolutely untrue! There still seem to be 2 issues ~ your driver install and a possible SCART issue. THIS is the Process I suggest you follow, to the letter! any driver you have in the Device Manager! Check for any other Error or Warning indicators in there and uninstall them as well. your Capture Device and put it aside until you are completely finished. 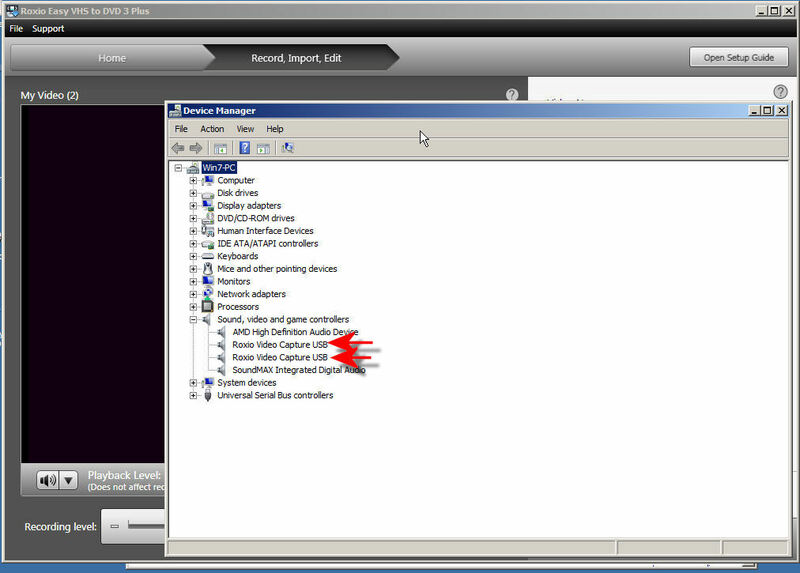 Now you should have both drivers listed when you plug in your Capture Device, as I have shown in the first picture. Thank you for your detailed solution, herewith my results. again ran through the steps. connected device (drivers ok) display not quite what I expected - No Video and no way to capture video. Selected only option available and imported a video captured on another device. playback was good with audio and video in sync. closed/opened the application then had buttons that allowed me to record video ..
flushed with susses I capture two video (commercial backups) both videos had video and audio out of sync. Attempting to record third video it went all wrong - No Video but audio - for a very breif period) left it running for a while and had had frequent flashes of video and audio simultaneously trided a number of times rebooted same results. received the following display - see image 5 . at this stage the only way I could exit the application was to end the the application task. I would add the images if only I can - error No file was selected for upload. text is not much use with images. I will keep trying you may see a post with just images in! as before your tutorial made it so easy. Herewith the images to go with my last post. Your attached images are confusing. 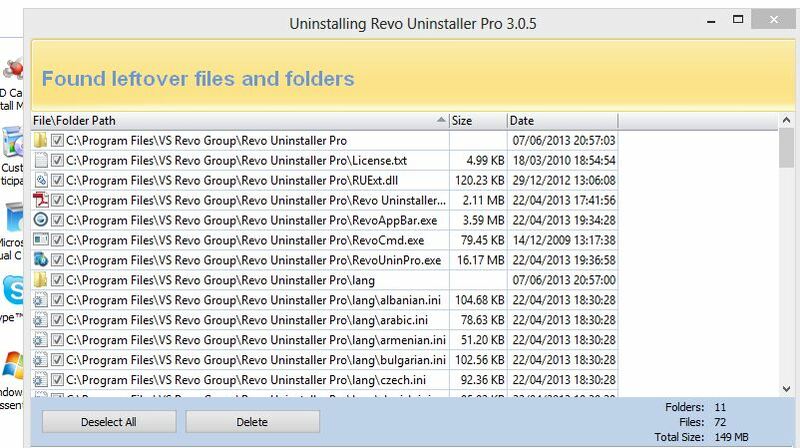 Why are you uninstalling RevoUninstaller Pro? As Walt mentioned, un-captioned picture are not worth a 1000 words And I too, do not see any point in the Revo pics??? Everything I see indcates no issue but I still have my doubts about your connection. And yet you said you have had suscessful captures before! What has changed??? 1st install out of box-No Video, checked all connectivity, ok therefore suspected a bad install. Jim explained Drivers only present when device is connected - I guess I am not the only one who fell for this. Perhaps a note in the user guide may help, Indeed, a warning not to connect device until application loaded! the first line should read Win 8 - typo -- after the 2nd install only one driver shown in dev mgr not the expected two. 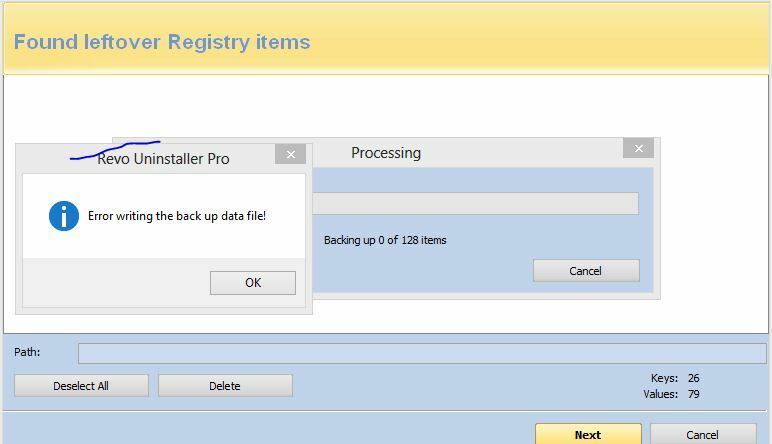 Jim provided details on uninstaller utility, and step by step guide to use. Why Uninstall! I just want Easy VHS to DVD/3 Plus working on my Win 8 platform and the ability to capture more than two videos in a session. agree a narrative on the image would be helpful. I hope this explains in chronologic order what issues I have experienced to achieve a working application. 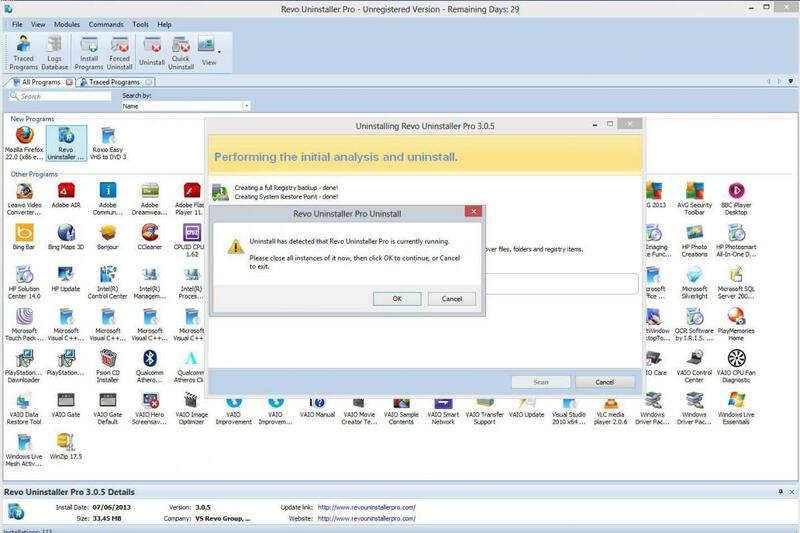 Why are you uninstalling the RevoUninstaller? Nothing in your last post explains that. Capturing commercial VHS is Hit and Miss. Some capture without problems other you get flashes etc. Given that I am a systems analyst, I went back to first principles and analysed/ talking through the problem in my mind and part of the equation was any resent software changes. Namely Video, Audio and USB. Given all three amongst a whole bunch of other interfaces are controlled by the Southbridge. A scan of the Driver updater log showed another Southbridge interface had indeed been updated recently! I refreshed the Chipset software, and one good capture - 53 to go. I unconditionally withdraw any disparaging remarks against Rixio or its software. It's with grateful thanks to the Digital Guru's for their time and patience. - Topic Solved. If only i knew wher the topic soled butto I would..
Glad you got it running ~ that was some good work on your part!